Monte Carlo (Principality of Monaco) (AFP) – Rafael Nadal defeated Gael Monfils 7-5, 5-7, 6-0 on Sunday to win a record ninth title at the Monte Carlo Masters. 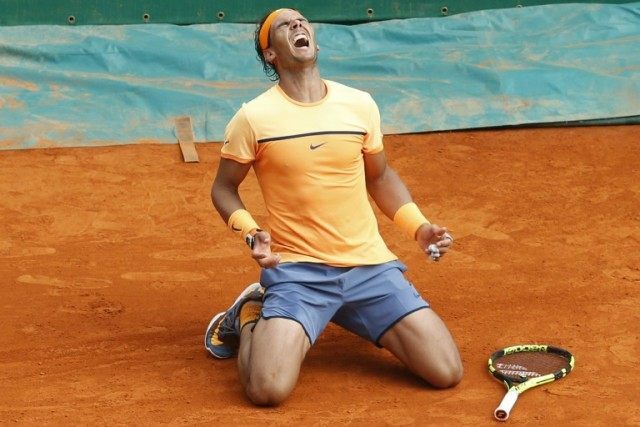 The Spaniard claimed his first trophy in the Principality since 2012 as he played in his 100th career ATP final and tenth in Monte Carlo. Nadal improved to 12-2 over Monfils as he won a first Masters honour since Madrid in May, 2014.